The Trump administrations policies are still too hazy to make anything resembling a clear prediction on what will happen to the US economy in the coming years, though his picks for top policy makers are a tentative cause for hope. 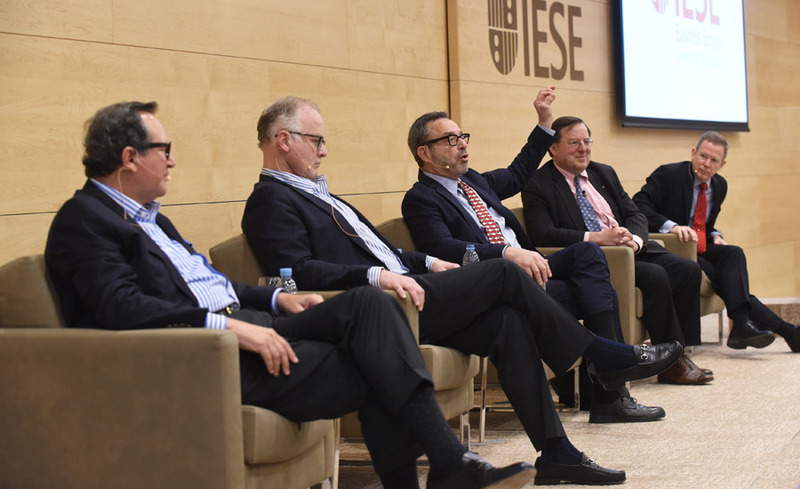 That was the opinion of members of IESE’s US Advisory Board who spoke to MBA students on the Barcelona campus, where they are attending the annual meeting of the board. 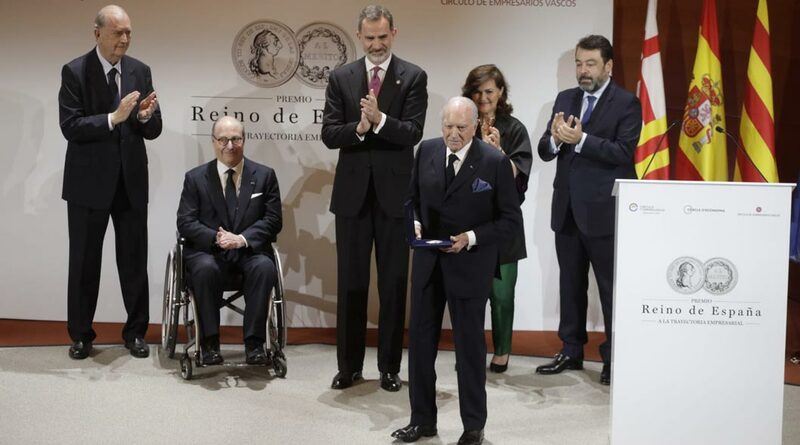 The board is composed of business and public-sector leaders based in the US, and advises and supports the school in its activities in the US. I think that Trump has shown that hes not as bad as advertised, said John Schmitz of Prime Policy Group. Schmitz noted that already there have been signs of job growth in areas such as the aerospace and automotive sectors. Schmitz and other members on the panel were cheered by Trump’s choices for top officials in economic policy and national security, and for his nominee to the Supreme Court. They regarded the appointees as reasonable and experienced professionals with views often at odds with Trump’s campaign promises. I have a theory that Trump knows he can’t trust himself, said Tom Castro, president and CEO of El Dorado Capital, and as a result is appointing capable people to make key decisions. They will constrain Trump and I think Trump wants to be constrained. Besides, there are institutional checks on what the new president can do. Our system is set up to constrain people like Trump. He can’t do whatever he wants, Castro said. Clear differences emerged between how large investors and smaller businesses view the first months of the Trump administration. Fritz Folts, managing partner and chief investment strategist at 3 Edge Asset Management, said it is unsurprising that capital markets are gaining, since they are anticipating lower taxes and increased spending. But over time, the markets will look for actual proof of robust economic growth, lower taxes and increased infrastructure expenditures; without those, gains will likely be quickly reversed. 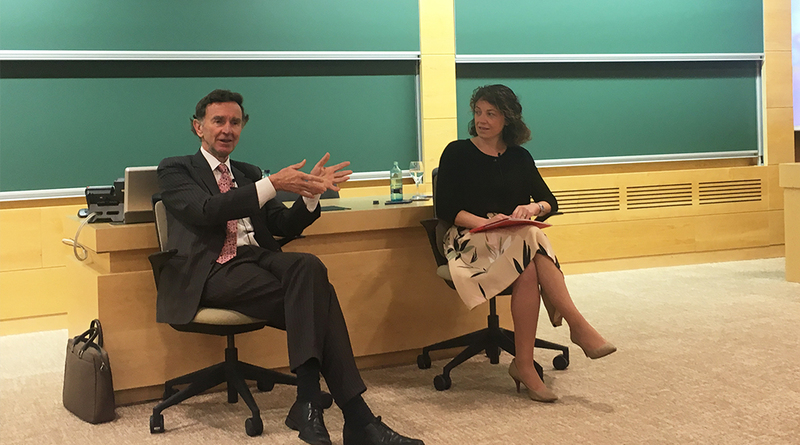 There’s the hope phase that we’re in and the reality phase that we’re facing, Folts, an IESE alumni, said. He said the reality phase could be either positive or negative, depending on what measures are taken. Alan Glazen, a founder of Ohio-based private community development company Glazen Urban, said that Trump so far has been nothing short of disastrous for small businesses and inner cities. Proposed changes to healthcare regulations have left small businesses reeling, and suggested cuts to arts and culture programs would make inner cities less desirable to live and work in. What you have now is all the small money on the sidelines, Glazen said. We’re afraid of him. We’re embarrassed by him. And we’re paralyzed by him. The panelists agreed Trump’s election had served as a cautionary tale for the US, in terms of what it said about the publics disgust with the Washington establishment and media, and about the socioeconomic divisions within the country. Fulfilling the sweeping promises Trump made to those who feel disenfranchised will be one of the main challenges of his presidency, they said. The election is a mirror of the divisions of our society, Schmitz said, and Trump will need to deliver concrete economic benefits to his voter base. And whatever his economic policies turn out to be, he has already turned US political culture on its head. What is new is that our politics have crumbled. Both of our parties have crumbled, Castro said. He, better than any other politician, understood that our politics were in disarray.